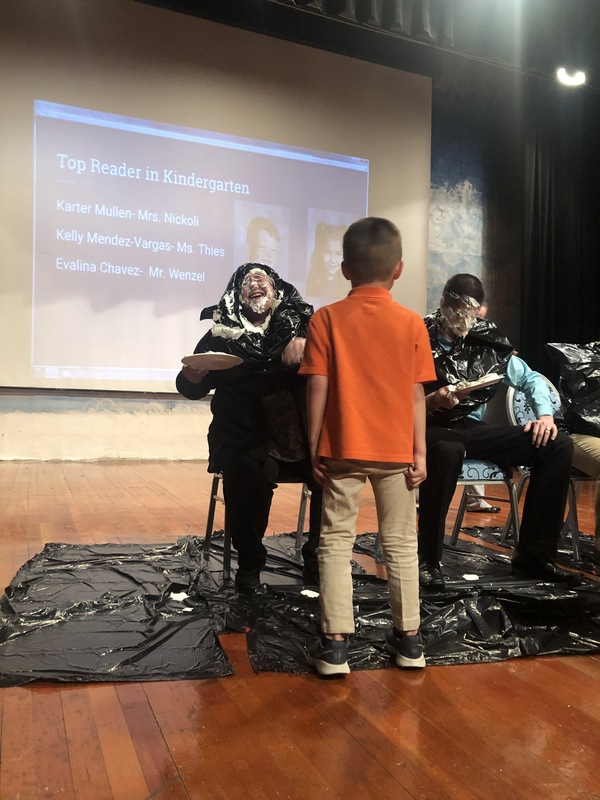 Our school participated in ReadCON, a Concept Schools event for Kindergarten, First, and Second Grade students. 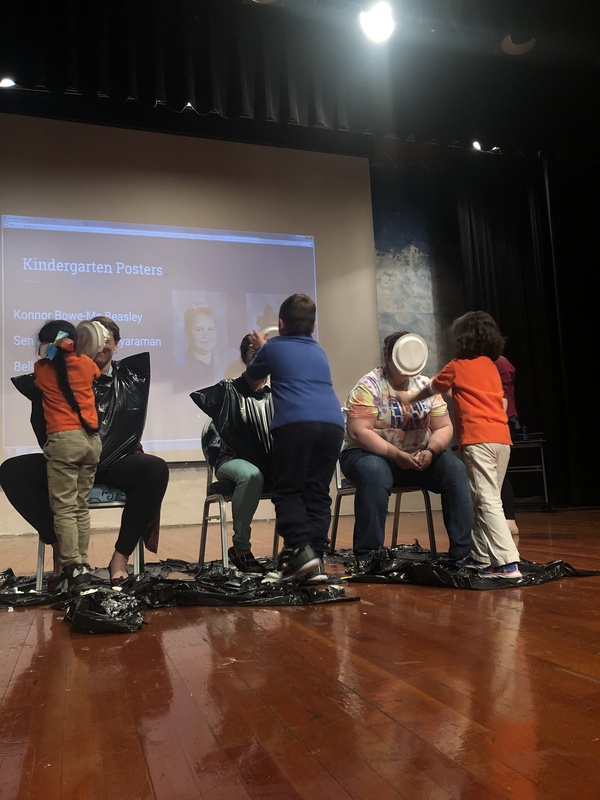 February 18th-March 22nd our K-2 students participated in this two part event with a poster contest as well as a word count contest. 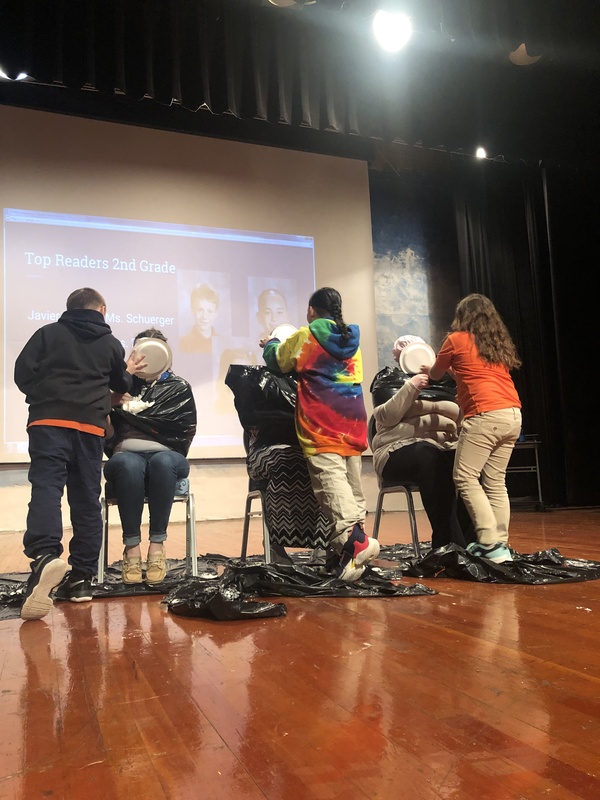 Over the course of these weeks, we had just under 150 students reading thousands of words. 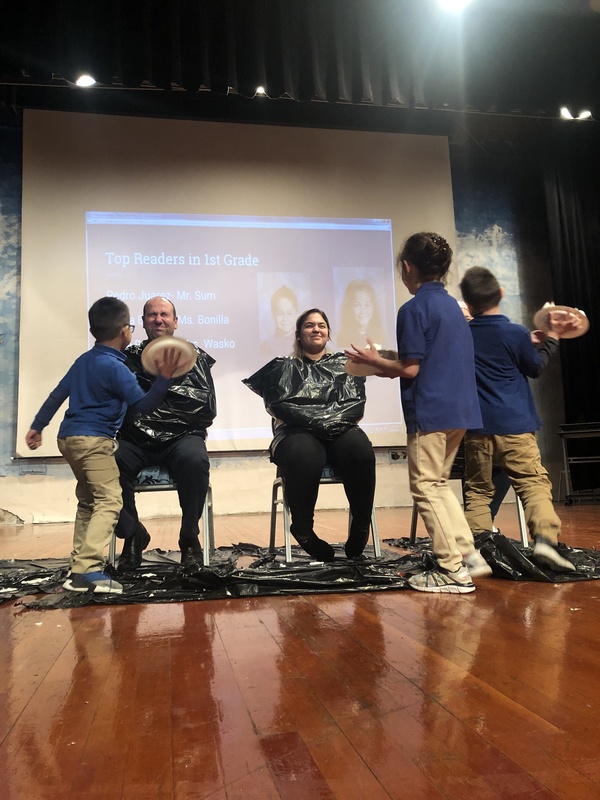 As a school, we read a total of 2,592,630 words! 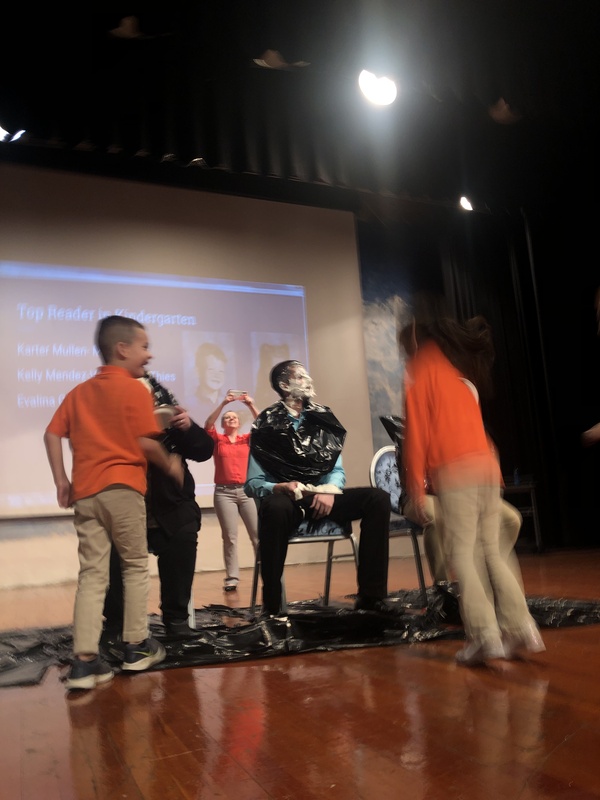 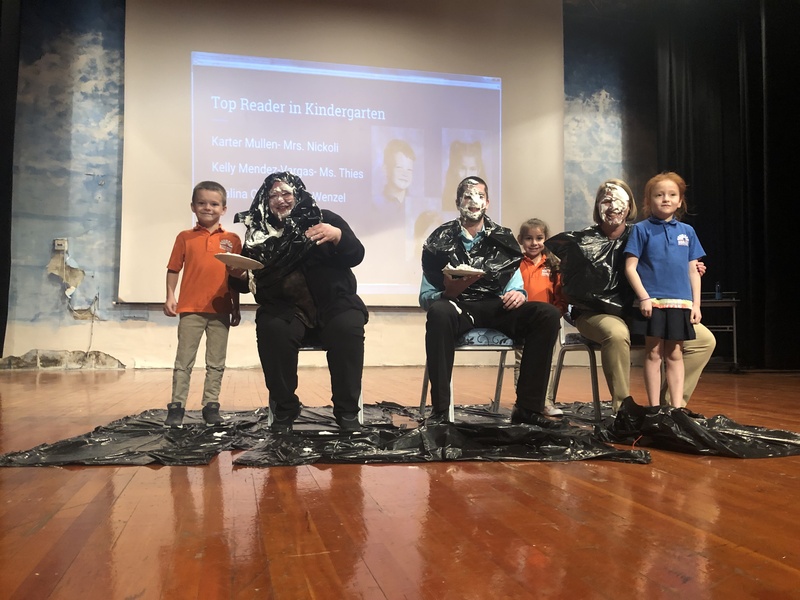 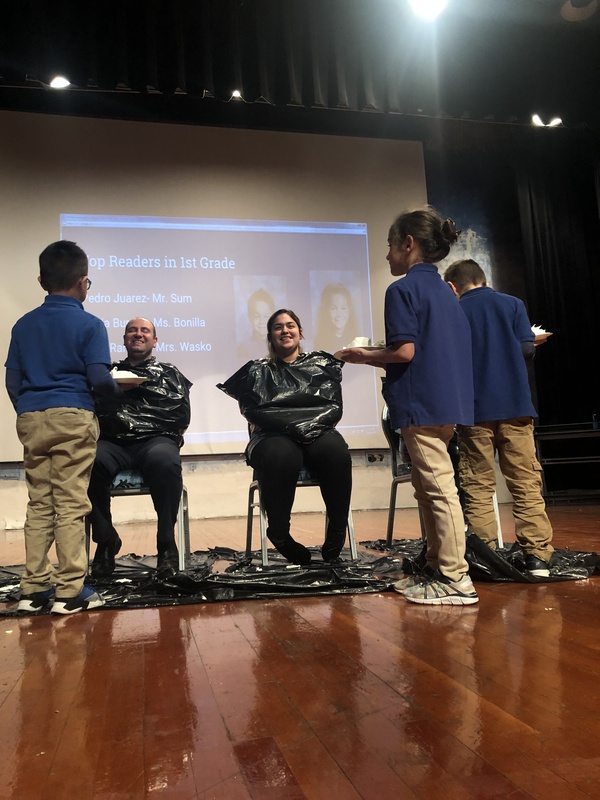 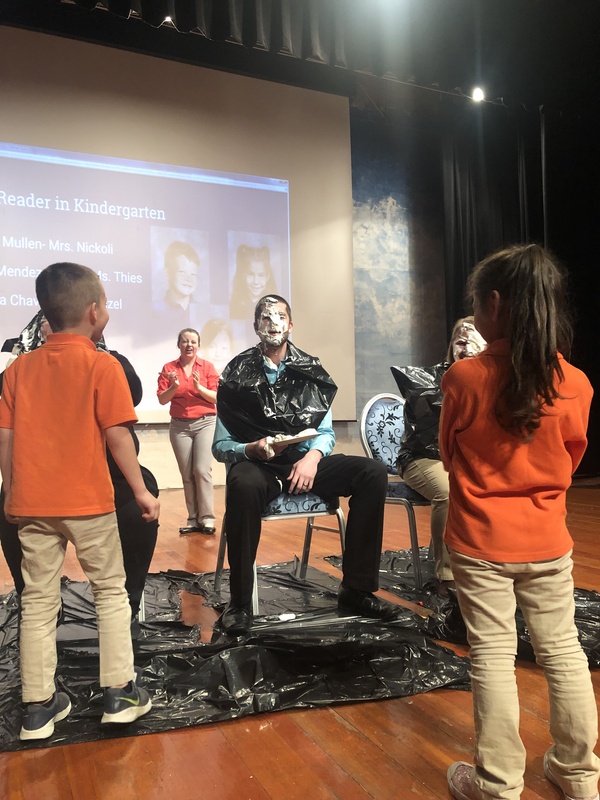 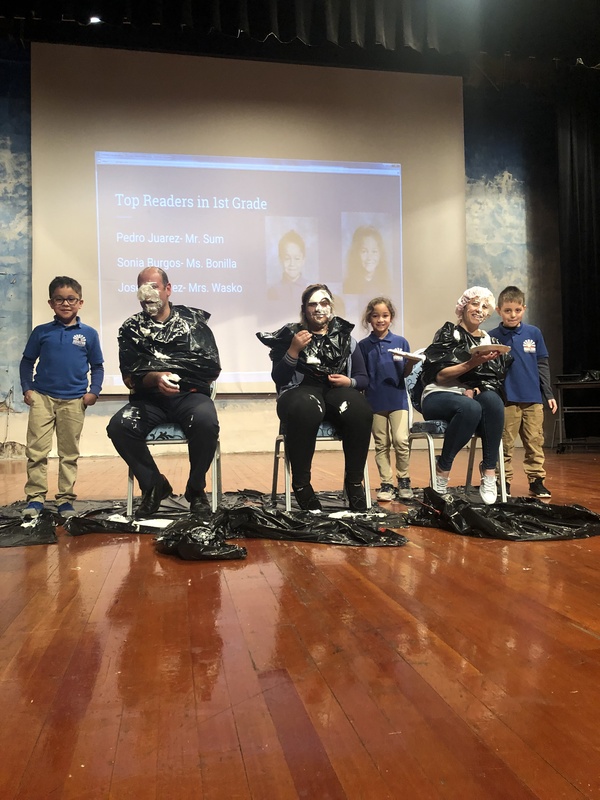 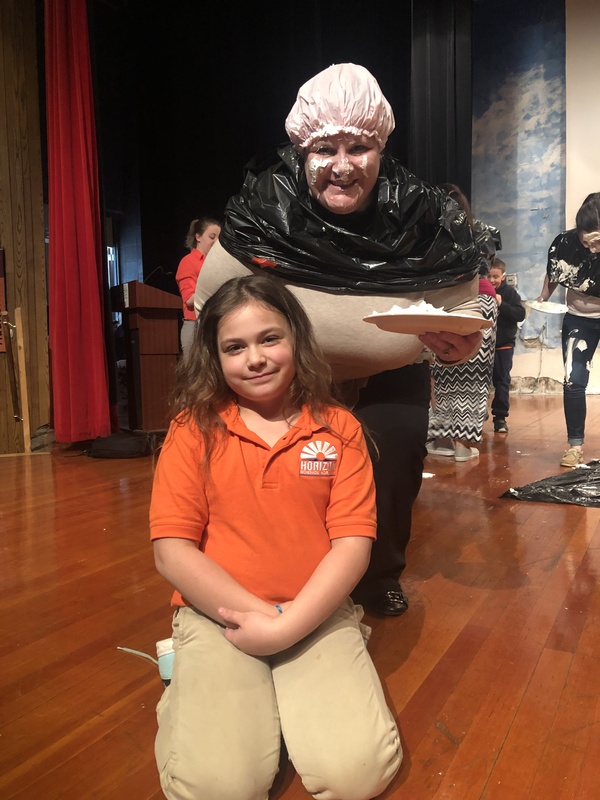 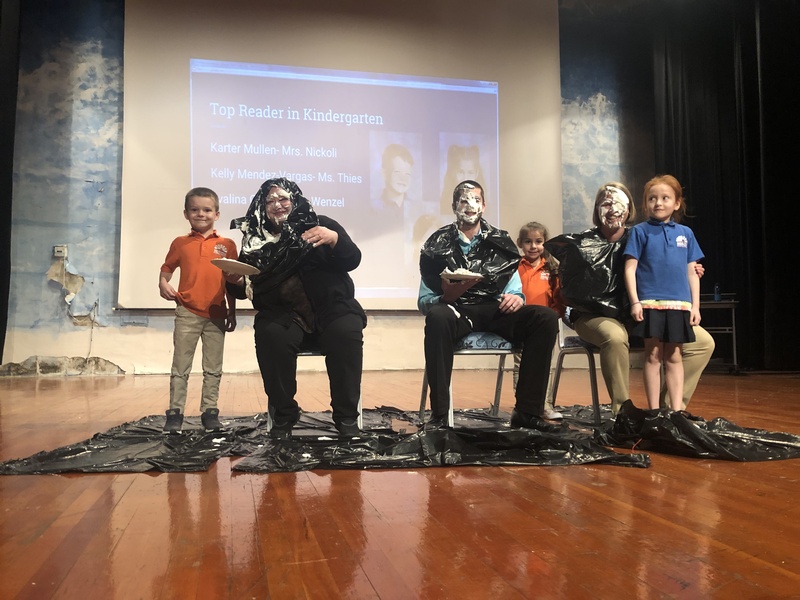 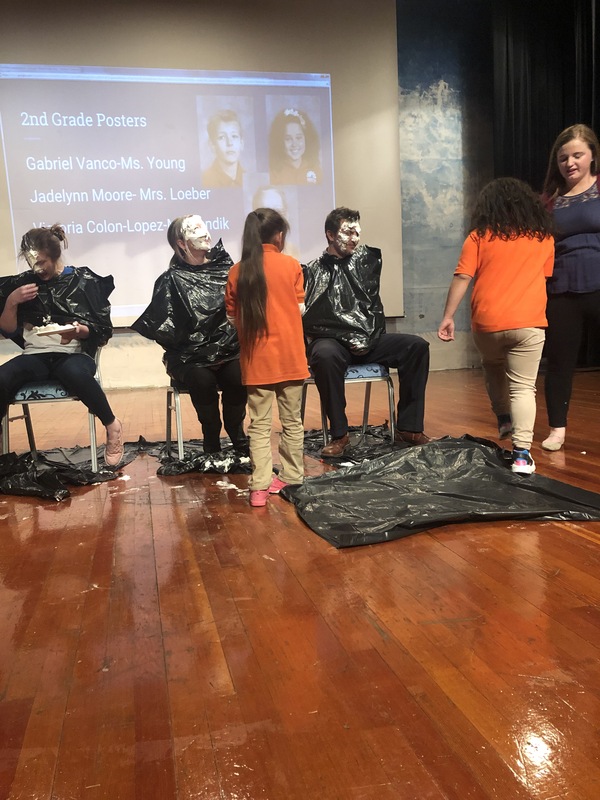 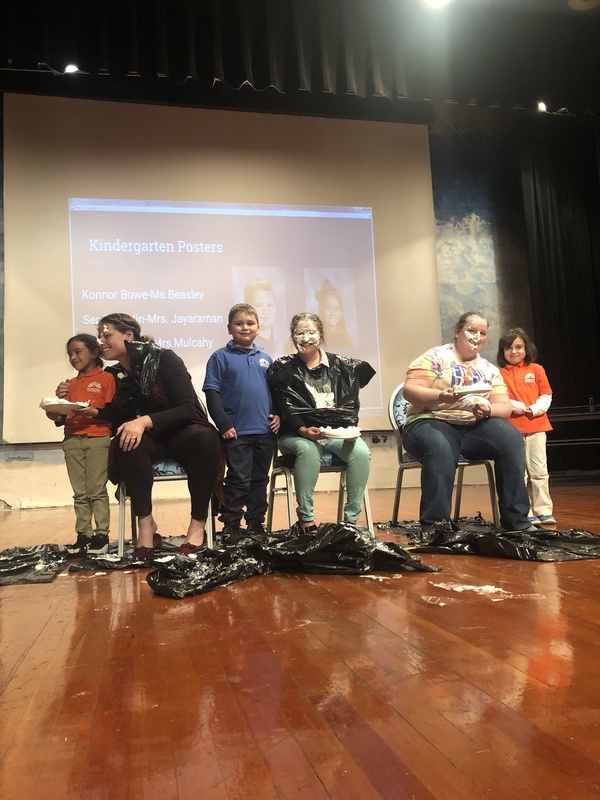 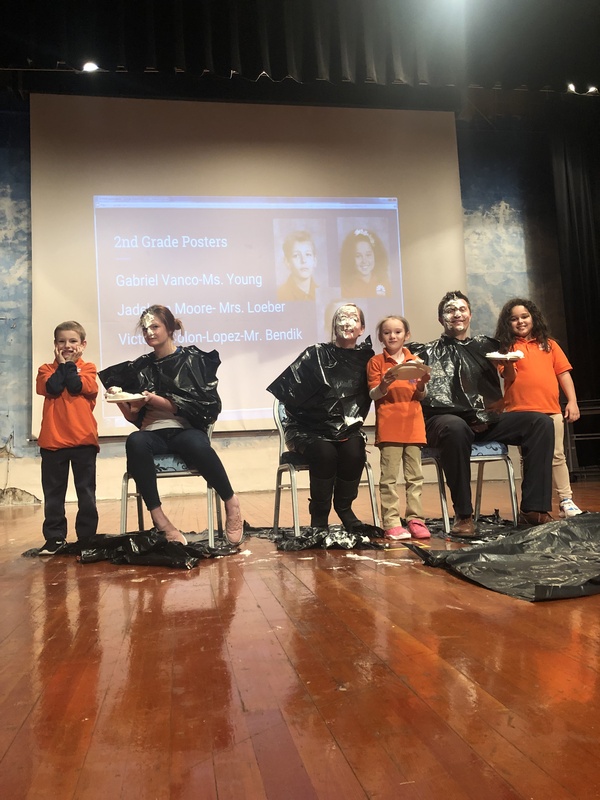 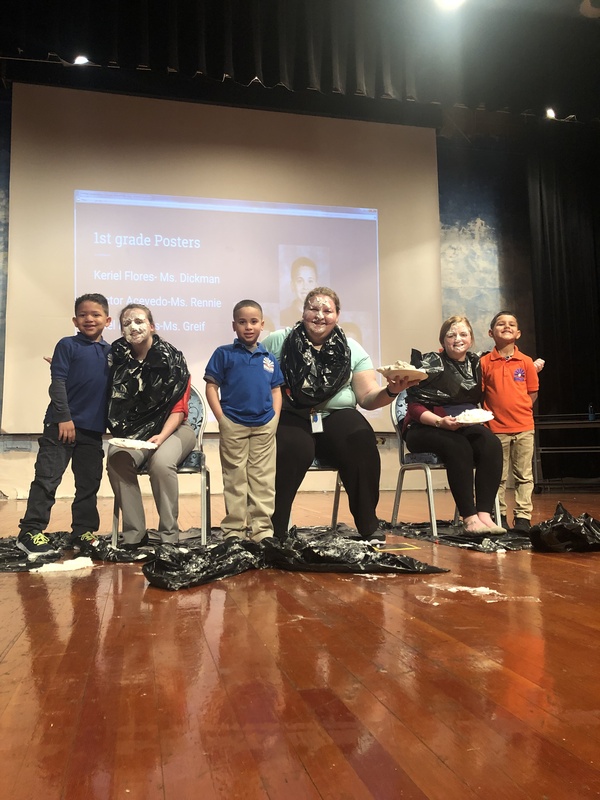 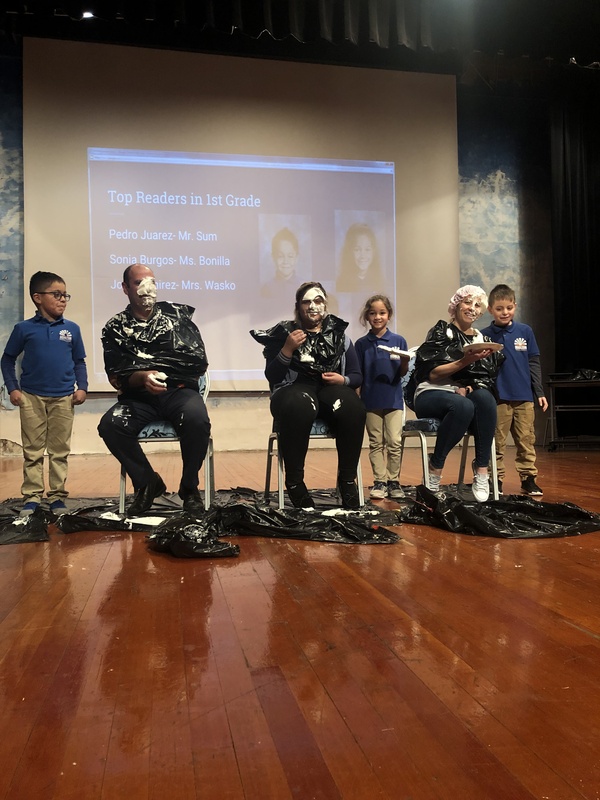 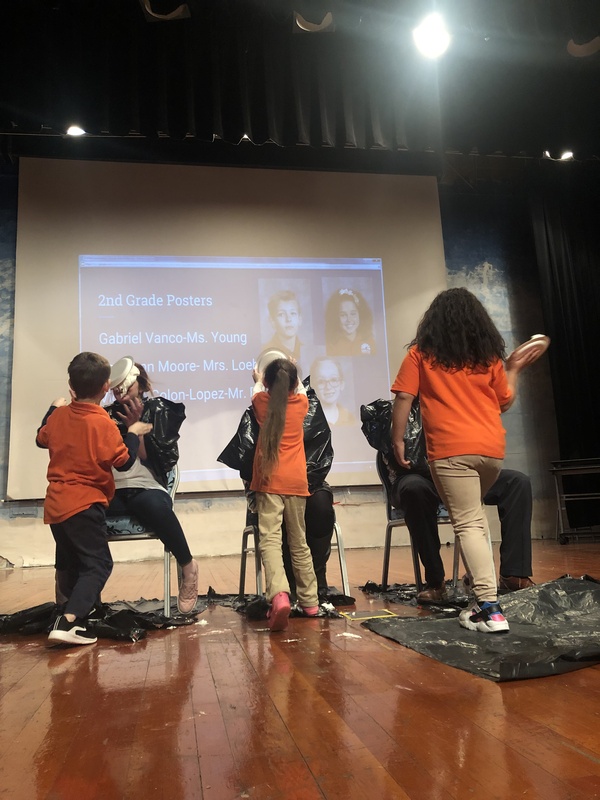 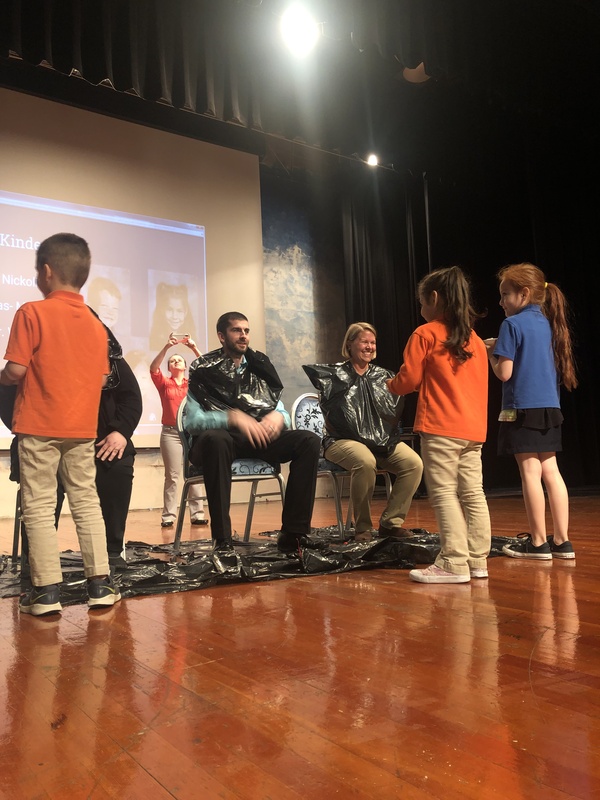 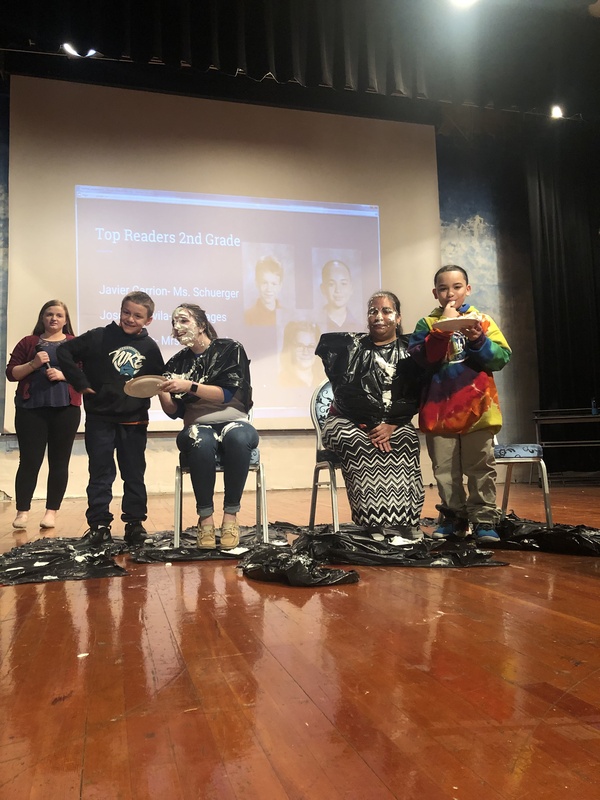 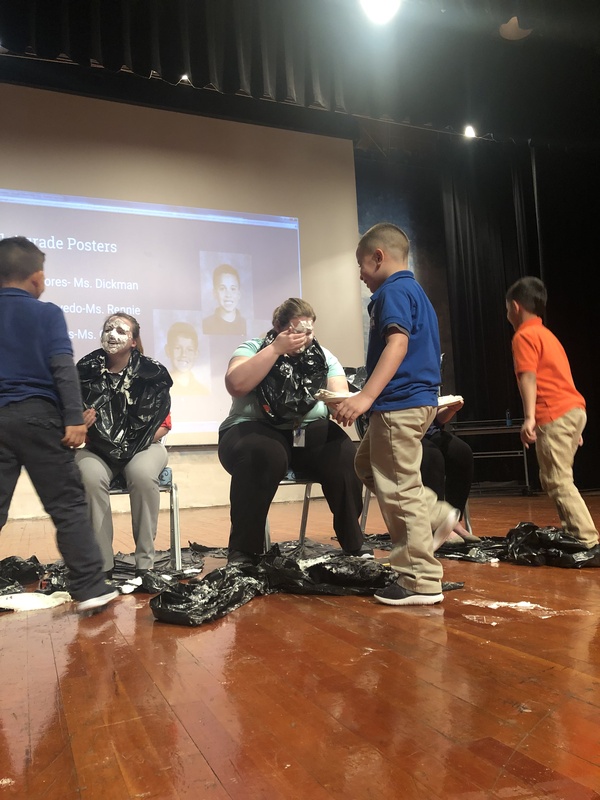 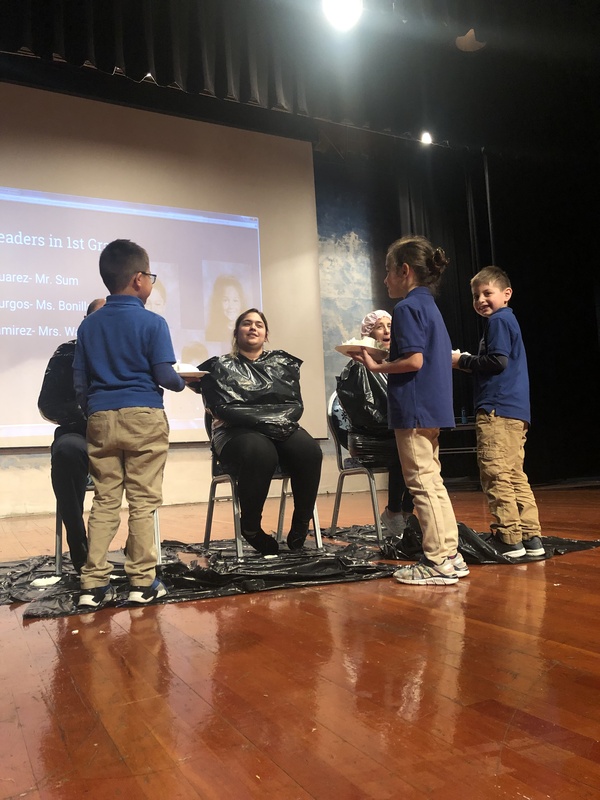 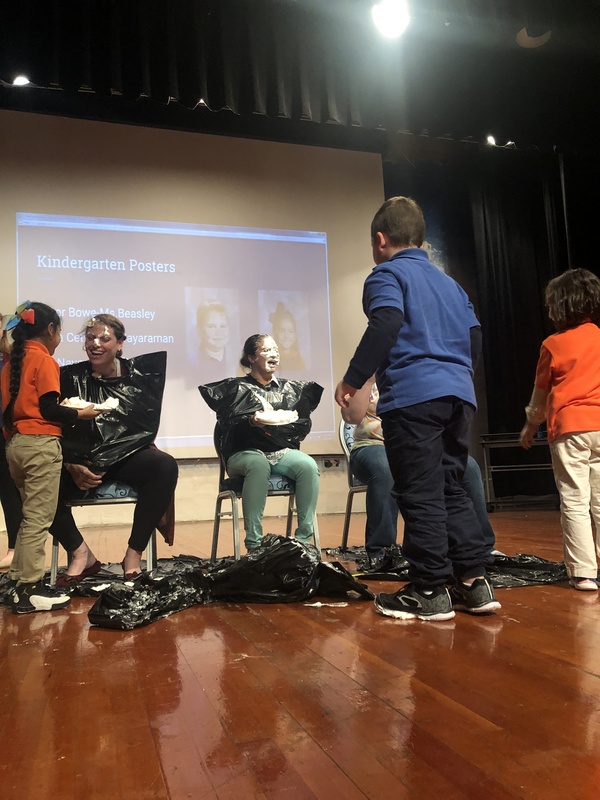 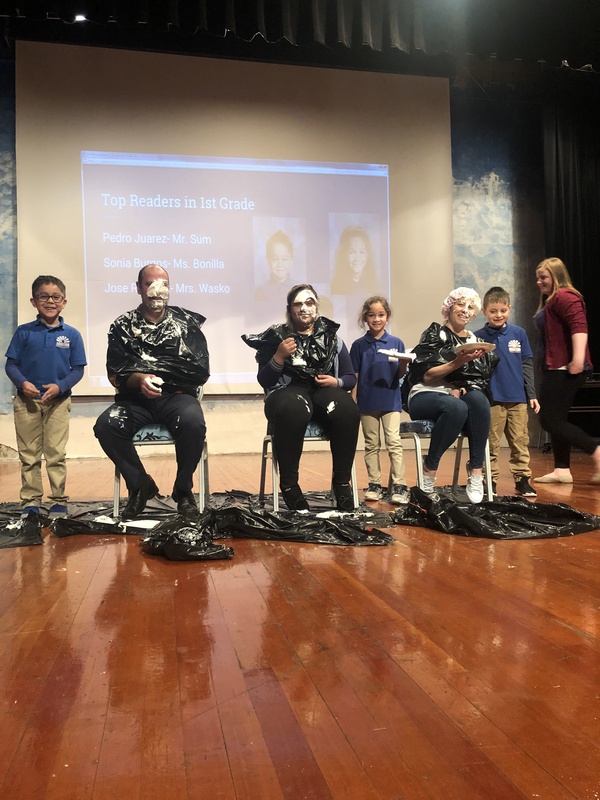 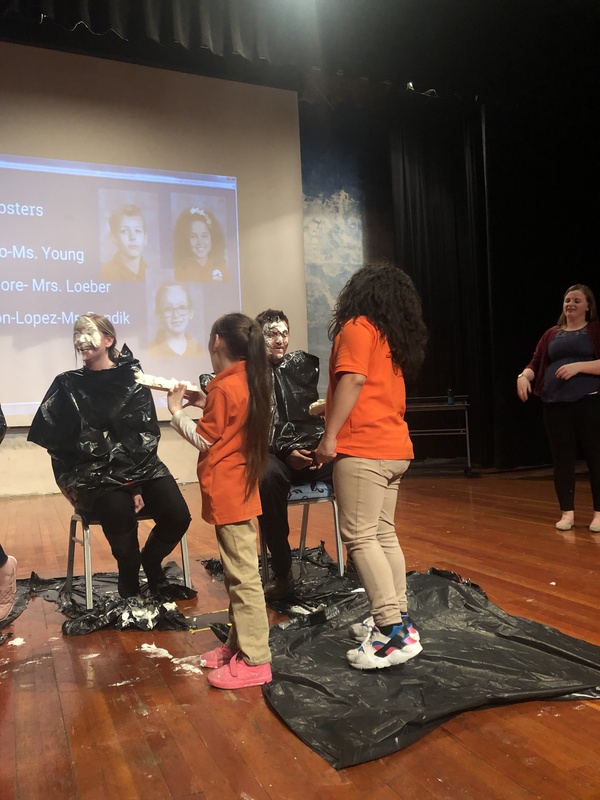 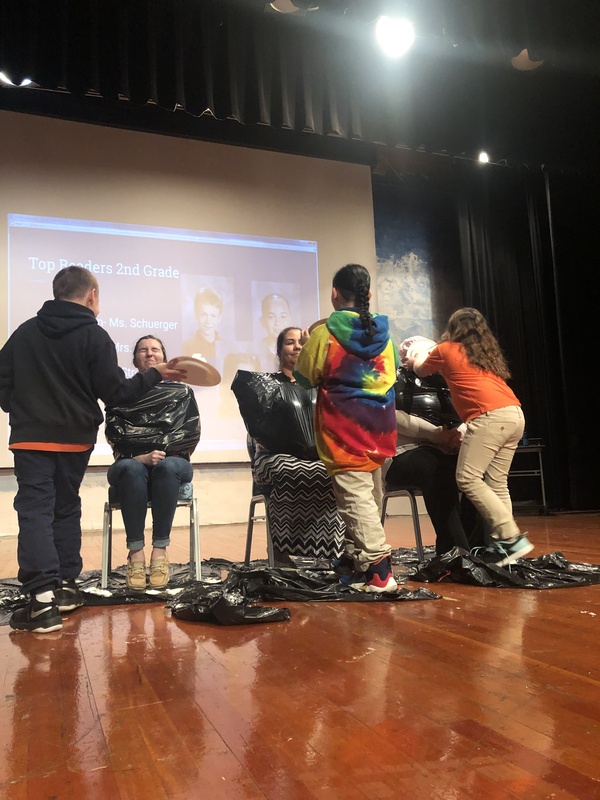 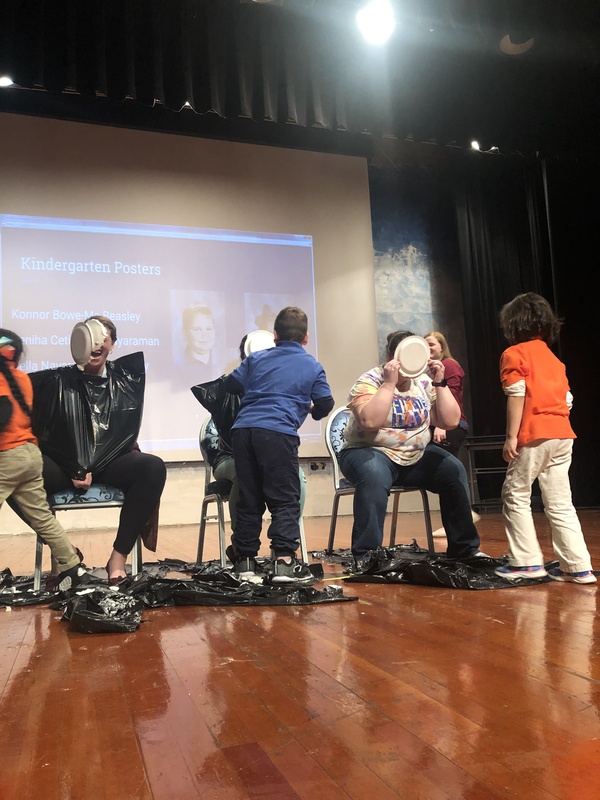 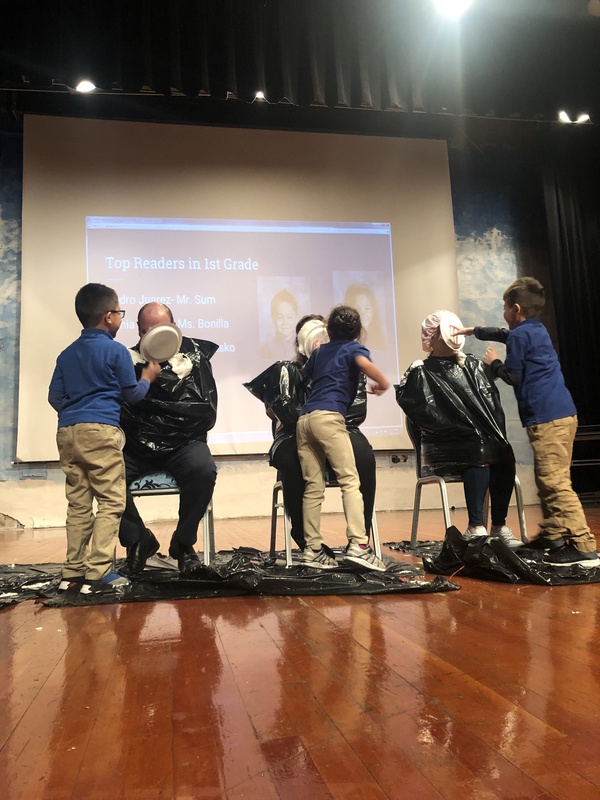 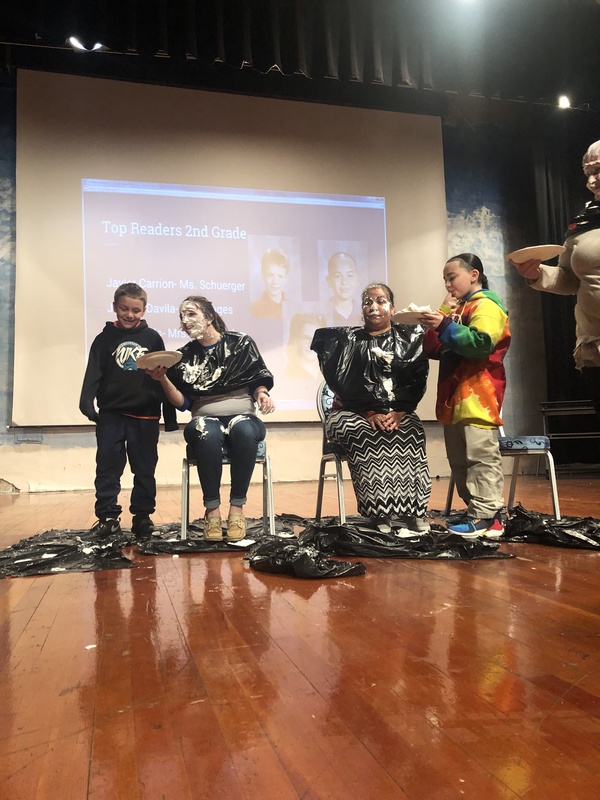 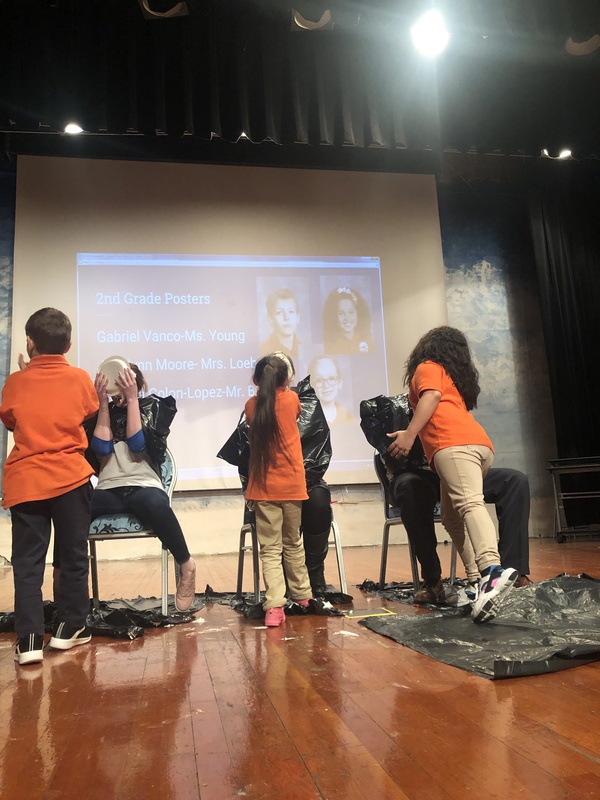 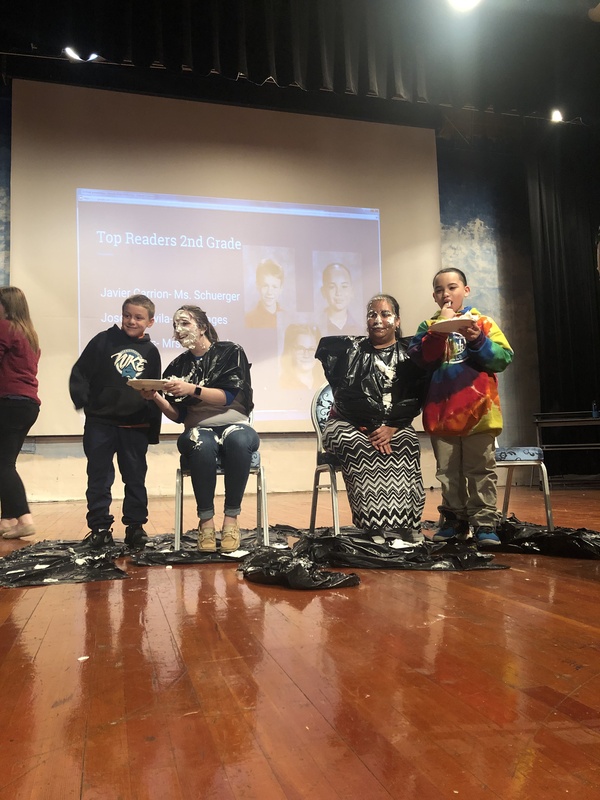 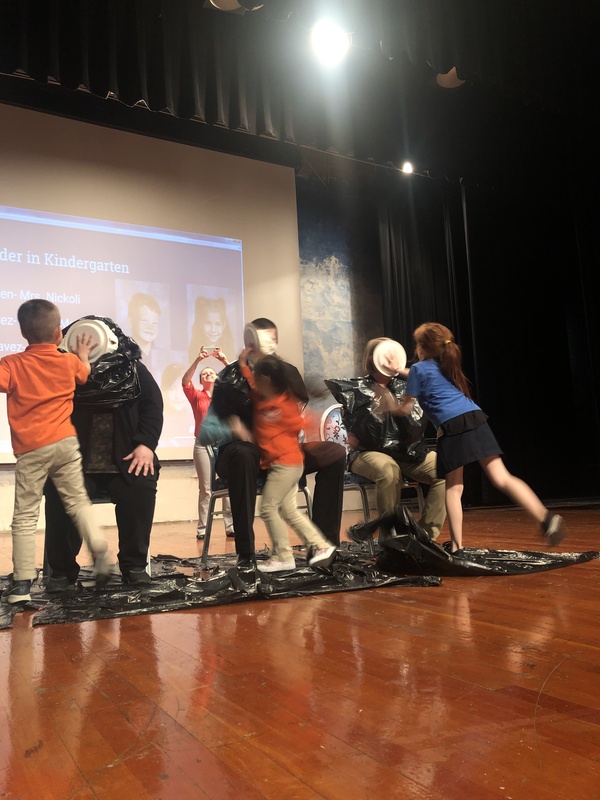 The students who read the most words as well as the top poster creator from each class, received the golden opportunity of smashing a pie in the face of a Horizon staff member on stage on Wednesday, April 10, 2019. 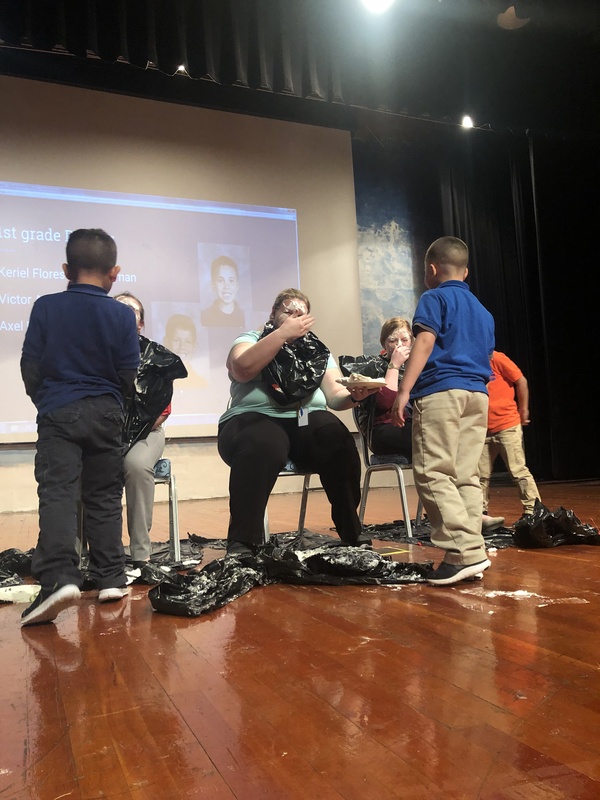 Overall, it was a great program that our students and staff enjoyed. 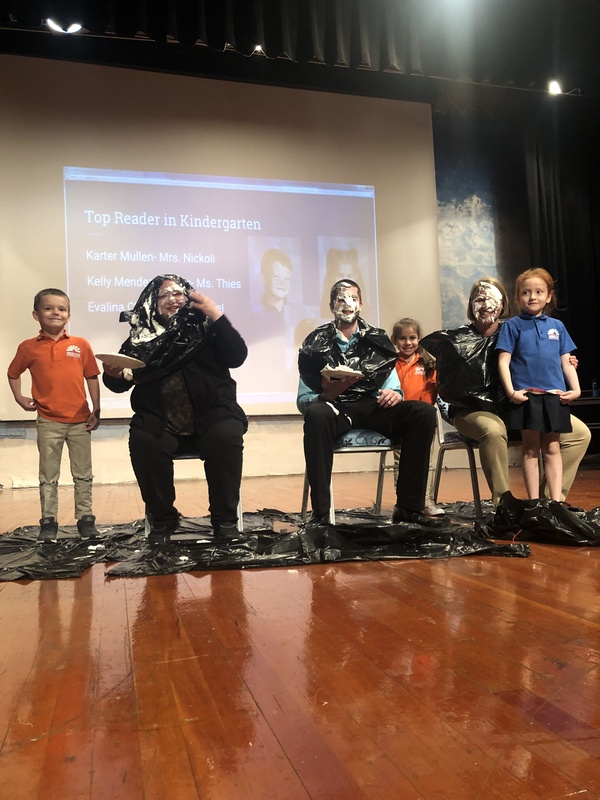 We are very proud of all our kiddos for their hard work!